"West Country Swords have provided excellent fencing taster sessions to all the Cubs that we had on camp in December 2015. From a booking point of view, communication has been excellent at every stage (despite Daniel being on holiday in the lead up). The Cubs had a fantastic time, and the instructor was excellent with them tailoring the sessions to their needs and giving them the right level of fun and safety during the day. When asked at the end of the weekend what had been the best things during camp, many of the cubs listed the fencing as their favourite." 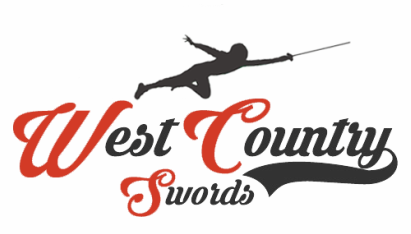 "Our children were extremely excited when we told them they were going to have fencing taster lessons and the two sessions provided by West Country Swords didn’t disappoint one bit. Setting up the sessions was a doddle, with an excellent on-line consent form which limited the admin we had to do in house and our coach was brilliant. The children were engaged from the off and the coach made sure that all of the children involved in each session were actively participating throughout. All safety and fencing equipment was provided and of good quality. We feel it is very important to give children the opportunity to try a wide and diverse range of sports and activities, especially when the activity in question, fencing, does so much to help children develop their balance, coordination and reactions. That it is underpinned by a culture of fairness and responsibility is the icing on the cake. We were so impressed by the sessions provided by West Country Swords, we have asked them back to run an after school club for us." As Lackham is a majority land-based campus I have had had many requests for alternate sporting enrichment activities, so when Pentathlon GB approached me with the offer of Fencing it was an ideal opportunity for the students. Dan was very flexible with the students, adapting the sessions for individuals as they joined in each week and catered for different abilities. The students learnt a lot in the three sessions they had with Dan which lead to a competition where they could put their skills into practice. Students commented: “I really enjoyed Fencing and would like to continue” and “it’s a great form of friendly one-on-one competition." Pupils at Whitchurch CE Primary School, have been learning the Olympic sport of fencing with the help of former Commonwealth fencer, Daniel Robinson. Over a period of 6 sessions, Dan worked with pupils from both key stages who thoroughly enjoyed the challenge of getting to grips with this demanding sport. Once the tricky task of putting on the mask and fencing jacket had been done, pupils got their first taste of going head to head with a foil (fencing sword). Initially they became familiar with holding the foil and moving backwards and forwards and as they progressed, they learnt the rules about hits. They then took part in fencing against each other. They particularly enjoyed this and once the children realized that they could not be hurt, their confidence grew and the so too did their skills. The highlight was when pupils had the chance to fence Dan Robinson himself and see if they could score points against him. To many children’s delight, lots of points were scored and nobody wanted to end the session. A number of Whitchurch children fence regularly and thanks go to Dan for giving Whitchurch children this great opportunity to build their confidence, be challenged and have good time at the same time. The sessions were extremely valuable to the childrens’ development and we will definitely want Dan’s expertise in Whitchurch Primary School again." "During the past term we have enjoyed the coaching expertise of Dan Robinson working with an after school club for Year 5 children. As this was a new venture, it was with some anxiety that I embarked upon the project. However, any doubts as to the potential success of the club were dispelled immediately upon my initial meeting with Dan. His professionalism and eloquence, coupled with an obvious passion and expertise in fencing, convinced me that this would be a project well worth pursuing. As soon as the sessions commenced, Dan showed himself to be equally at ease in his communication with the pupils in his charge. He was able to enthuse them with his own passion and delivered a series of lessons that were highly instructional, challenging and FUN! His control of the group was excellent and Dan showed himself to be responsive to pupils of all abilities adjusting his teaching style and content accordingly. The response from the children alone, is enough for me to recommend, unreservedly, Dan’s services to any school that is considering introducing this exciting sport to their curriculum." "I started Fencing at JKHS in September 2011. I wasn't really sure about doing any after school clubs as I didn't know how much homework I would get done. When I received the letter about Fencing I was really excited. I had always wanted to try it. I am so glad that I did. The lessons are great fun and I have learnt so much. We regularly practice footwork and play fun games, we also have fencing matches and competitions. We use all sorts of fencing equipment including electrics. Dan is an extremely good coach and makes the lessons really enjoyable. My mum thinks that I have gained in confidence and improved my posture as a result of my fencing. I would recommend the club to anyone." "Dan has been working at the school as a Fencing Coach for the past six months. He has provided the children with enjoyable, safe and well planned lessons. The children have responded well to his enthusiastic and encouraging manner and have made good progress with their fencing skills. Dan has given the children opportunities to use ‘proper’ fencing equipment and has successfully encouraged many of the children to join the local fencing club. I have no hesitation in recommending Dan to other schools."